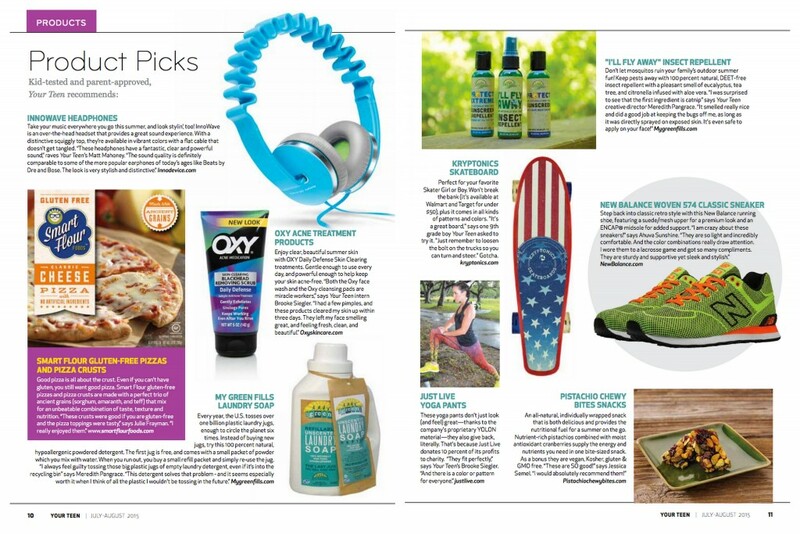 Congratulations to our Client MyGreenFills.com for their feature in Your Teen Magazine! Keep pesky mosquitos away with I’ll Fly Away Insect Repellant from MyGreenFills.com! This all natural, non-toxic and Deet-free solutionÂ has the pleasant smell of eucalyptus, tea tree, and citronella infused withÂ aloe vera. Simplify your life with MyGreenFills.com Laundry Soap.Â Â Everything you need in a laundry detergent, without the harsh chemicals and waste. Check them out at mygreenfills.com!